This product package contains six videos in script and template form allowing the translator to put Bible history in any language through illustrations and photographs of actual locations. Each product set includes images, scripts, tutorials and music files. A major emphasis of the set is on the writing of the New Testament and early church history from the book of Acts. 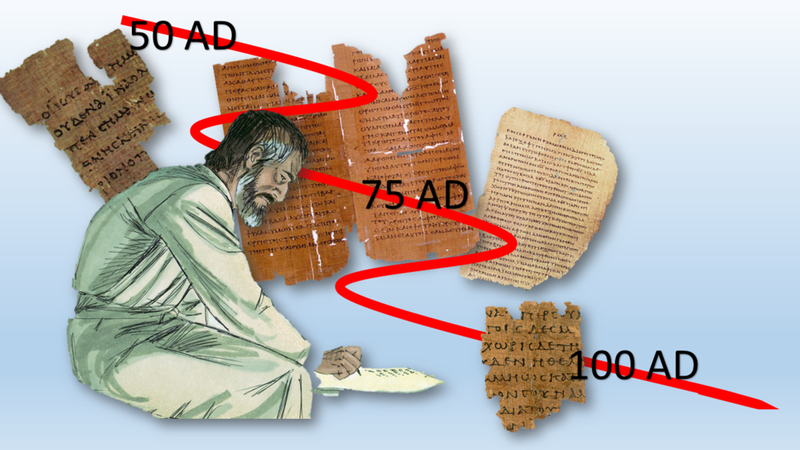 This slide set and script tells the story of how the Scriptures came to us describing the various writers and manuscripts. There is an explanation of the form of New Testament letter writing such as those written by Paul, Peter and others and information on how letters were copied and sometimes confiscated and destroyed during the persecution. The script covers the early Church from the first persecution by Saul, the death of Stephen, Paul's conversion and subsequent preaching. There is also mention of his trip to Tarsus and a review of his Jewish background and heritage. We join Paul and Barnabus as they journey to Cyprus, Tarsus and Antioch, Syria. Along the way there are images of the ruins at each ancient site along with a description of the journey and some historical events. The story ends with the Jerusalem Council and the spread of the Gospel to the West. Paul and Silas journey west through Macedonia, present day Greece. The narrative covers the Greek and Roman influence in the world at that time. There are images of Philippi and Athens including background on Lydia the cloth and dye merchant, the Philippian prison, the ampitheaters and what Paul discovered in Athens. 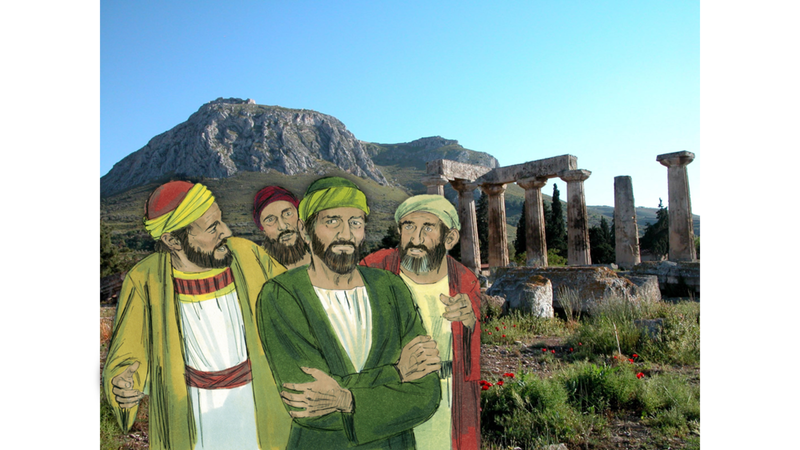 Paul and Silas continue their journey through Athens and then Corinth. The narrative covers his time in Athens visiting the acropolis. It talks about the Greek gods which were worshiped at that time and shows images of the places they visited. Paul's third and final journey takes him to various cites including Ephesus. The narrative covers Paul's meeting with the church, the temple at Ephesus, and his preaching at the amphitheater. It follows his imprisonment and trip to Rome for final sentencing.